The watch was only £10! 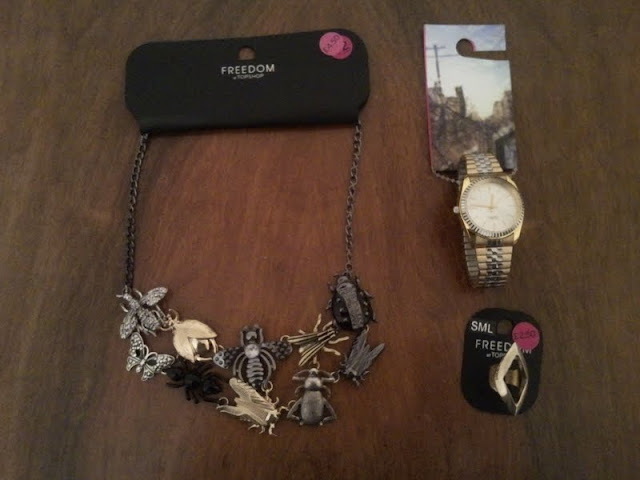 Love the giant bug-y necklace - must keep an eye out in my Topshop for it! I must go to the Bath one more, its so good!